In our heads, by now we would like to have all presents wrapped and under a perfectly decorated tree, with the house clean, and you're plopped on the sofa guzzling mulled wine watching Elf. You're frantically running around like a headless chicken trying to buy all your presents on Christmas Eve. Sound familiar? I've been in both situations over the years, and however much you'd like to be all organised in plenty of time, life get's in the way and next thing you know it's Christmas on Monday and you've done nothing. Thanks to the wonder of next day delivery, you can rest easy for a little while longer, so if you're clueless about what last-minute stocking fillers to get your friends and family this Christmas, I've come up with a little selection for you to browse through. 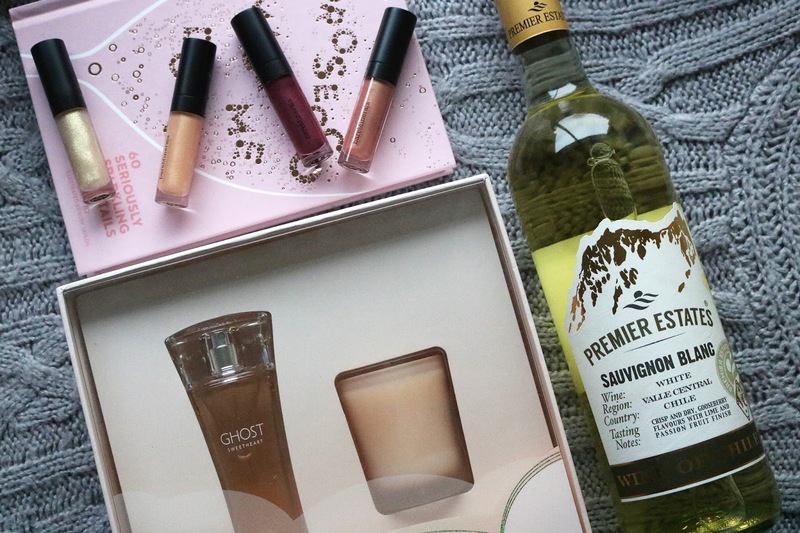 Like I mentioned in my friends and sisters gift guide, giving someone a perfume set from their fave brand is an easy way to put a smile on someone's face. You know they're going to like it, and it will keep them stocked up until next year! 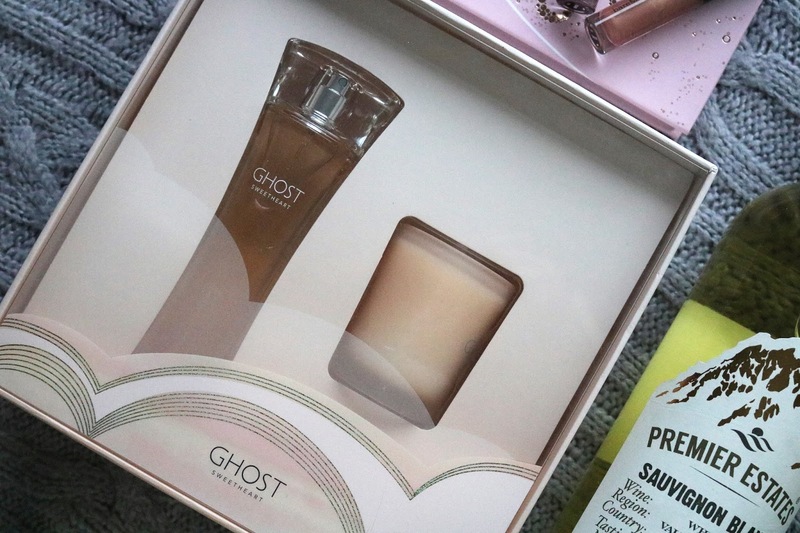 Brands are also starting to add other products to their gift sets aside from shower gel and body lotion, like this Ghost Sweetheart set. This little candle is a great accompaniment to the perfume and will make sure your house is smelling just as lovely as you are. 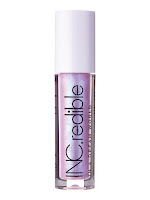 Know a product that your beauty-obsessed pal is desperate to try? 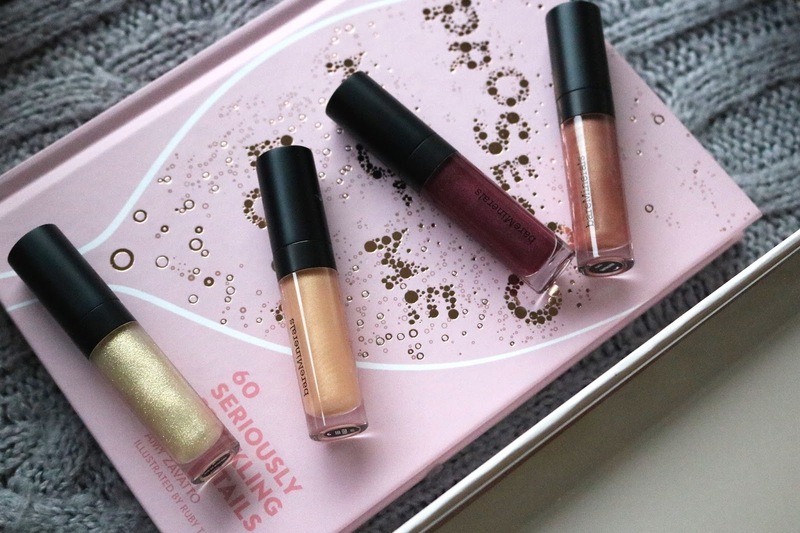 Why not get them a little sample collection to play around with! 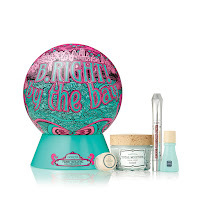 There are so many out there at the moment that include a huge selection of products and colours for every budget. Need I say more...if all else fails and you're still stumped for ideas, nothing beats a lovely bottle of wine, bubbly or spirit to help keep them merry over the holiday period. 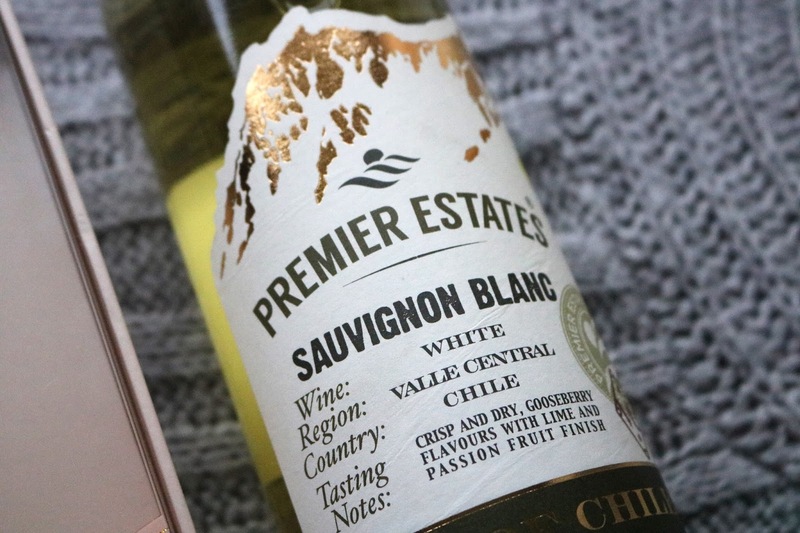 I'm a huge fan of Premier Estates Wine and recently I've been enjoying their Chilean Sauvignon Blanc, a beautiful dry wine that is deliciously fruity without being too sweet, and is really reasonably priced for a good bottle of wine. This is perfect with fish or chicken, and can we talk about how fab that label is?! Super cool ideas! Oh I always do my shopping last minute!